This is a quick video tutorial by Matheus Lopes Castro aka Mathiole on how to create landscapes with just the PhotoShop lasso tool. He used the lasso tool to create the winning design in the Threadless Landscapes Challenge. 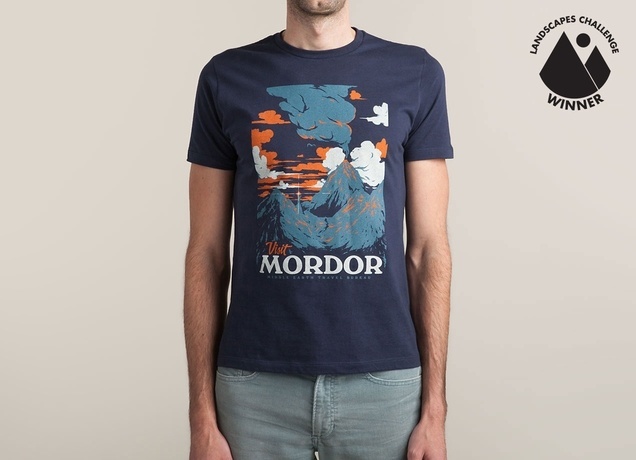 He snagged $2,500 cash as well as a $500 Threadless gift card. This illustration was made in about 30 minutes, without too much thinking on composition nor concept. Basically, I use the lasso tool to create shapes and fill with color, and also to subtract/delete/refine the same shapes. 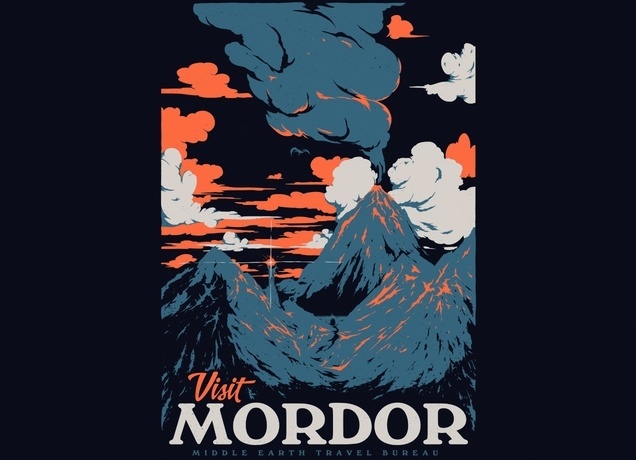 You can get Visit Mordor on t-shirts, hoodies, iPhone cases and prints from Threadless and this design is also available at Busted Tees in gray.